Success isn’t breaking even. Successful businesses continually research methods of improving their profit margins. When it comes to ways to boost moving company profits, the following are some suggestions that may work for your operations. Review your scheduling and determine times of day when you can operate with fewer staff on hand without negatively impacting the quality of the service you provide your clients. By streamlining your payroll and the functions of each staff member, you will ensure the long-term profitability and viability of the business. This might include packaging materials, packing services, refrigerated storage, etc. These additional services can be very appealing to customers looking for ease and convenience during their move. Many low-cost add-ons can generate considerable revenue for your operations. Discounts should be used to attract new business and retain long-term clients. Don’t use them as a cornerstone of your business plan. Instead, use them during low-season as these can help pad the bottom line during these times. Always upsell customers on special services and offerings. This could be expedited delivery, delayed delivery, loading/unloading, and all forms of moving assistance. When you upsell, you are very likely informing customers of services you offer that they need but are unaware you offer. Maintenance costs add up quickly. Always make sure that you keep your trucks, containers, warehouse, etc. in good condition. This helps reduce the burden of expensive repair bills. Always remember that minor problems are easier and cheaper to repair than problems that go ignored. When looking for ways to boost moving company profits, using technology to your advantage is just good business and a significant profit booster. Whether it’s hybrid trucks that use less fuel, computer programs that make it easier to manage shipments, or solar panels that generate power for the office and tax discounts in April. Hiring good staff and rewarding them for their efforts is crucial for boosting profits. It reduces turnover and training expenses. More importantly, it increases the quality of your services and your business reputation, which increases the number of customers that contract your services. Don’t miss out on the “do it yourself” client. 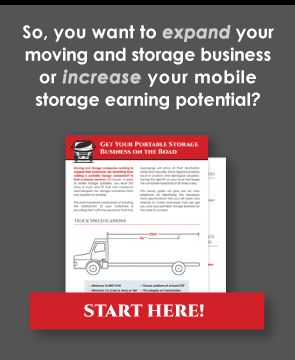 Offering a mobile storage option allows you to capture this large, price-sensitive segment of the market. Make building partnerships and fostering affiliates a priority. Look for individuals and companies involved in real estate, land development, property management, etc. By bringing on affiliates, you reduce the amount of time and money you need to spend marketing your moving services. Weekly, monthly, quarterly, and annually. That’s how often you need to review the effects of your marketing efforts, affiliate programs, and every aspect of your business. Always be on the lookout for ways to negotiate better deals with vendors, and more profitable methods of managing your operations. The more you review your operations, the greater your ability to chart a course to increased profitability. Doing so is one of the surest ways to boost moving company profits. There are many ways to boost moving company profits. By practicing and experimenting, you will find the “sweet spot” that works for your business. As long as you continue to evolve and adjust to market demands and needs, your business will continue to grow and prosper.